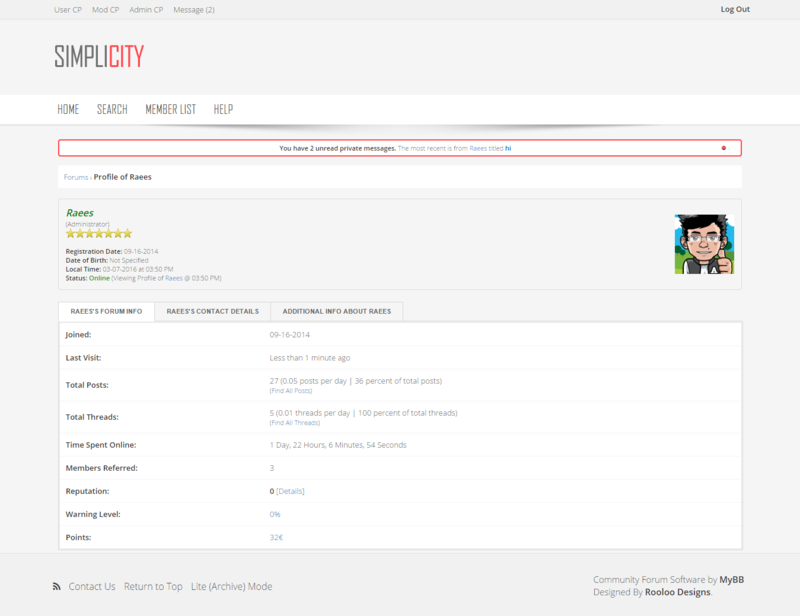 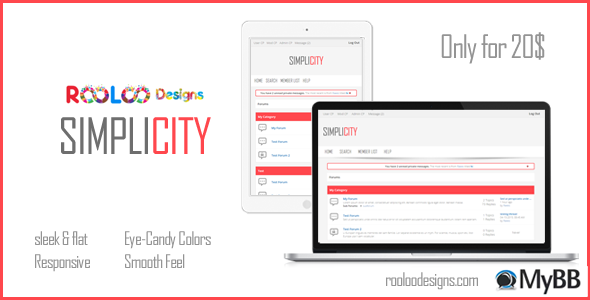 Rooloo Designs presents a flat and simple theme named simplicity. 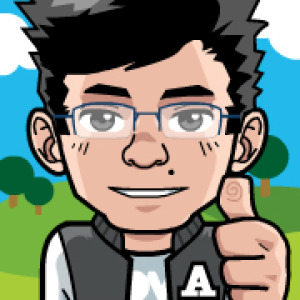 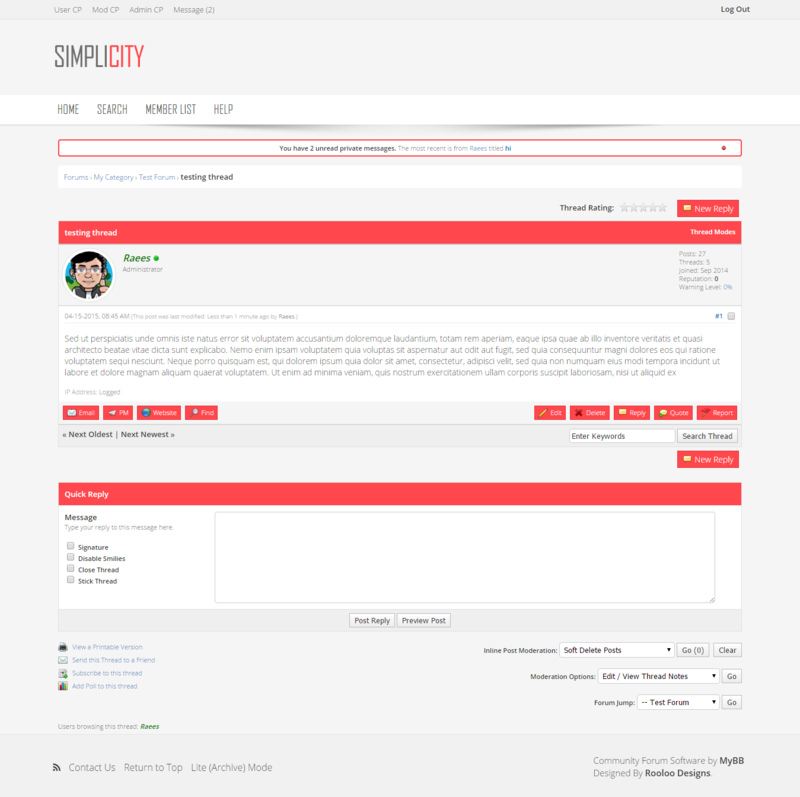 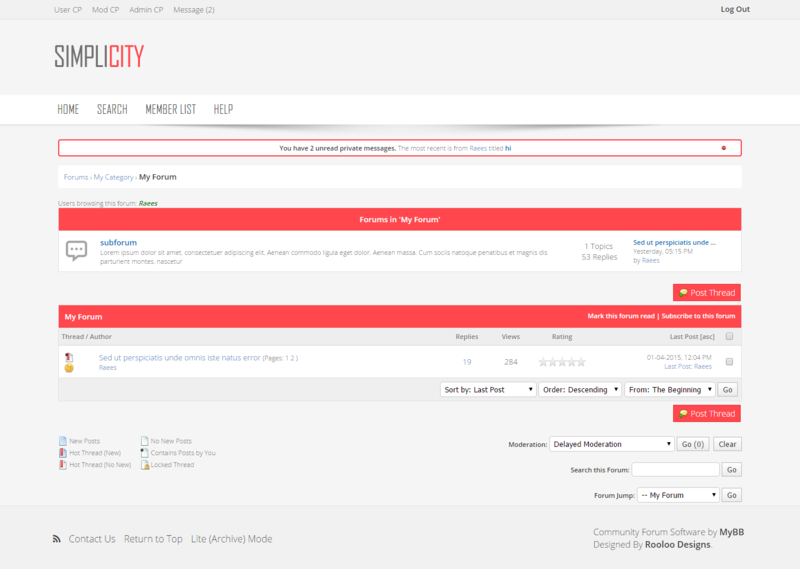 We Hope you like this theme and encourage for our future themes by giving feedbacks. 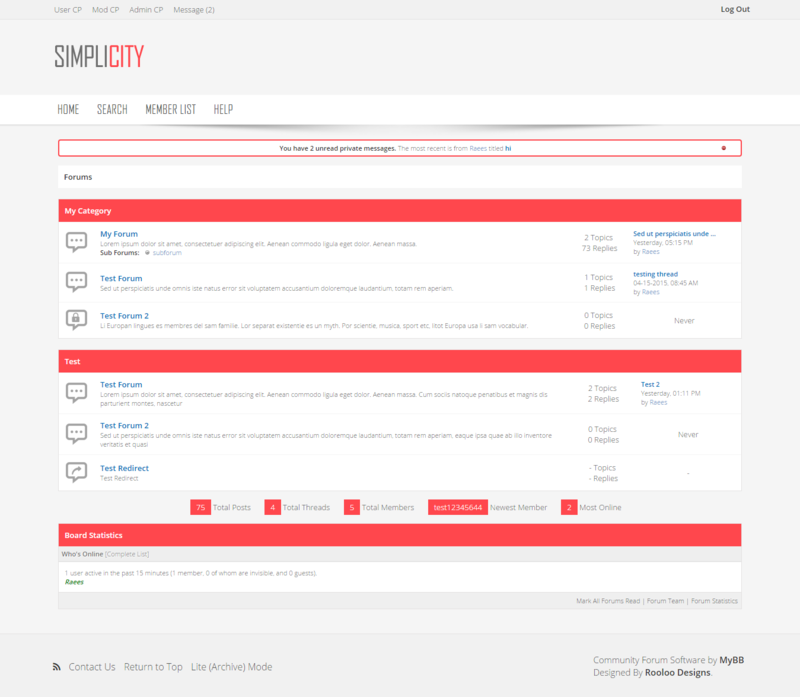 A beautiful Pre-made theme for MyBB for sale for just 20$ !